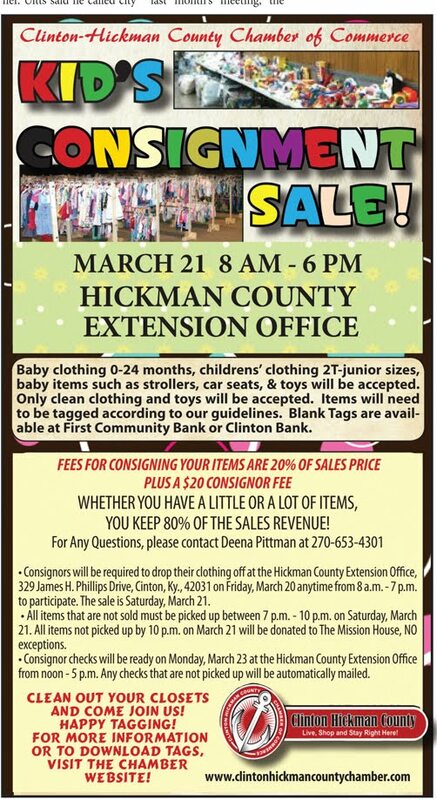 The Clinton- Hickman County Chamber is happy to announce the 2nd Clinton- Hickman County Kids Consignment Sale on March 21 from 8am-6pm at Hickman County Extension Office. This will be a fundraiser event for the Chamber. 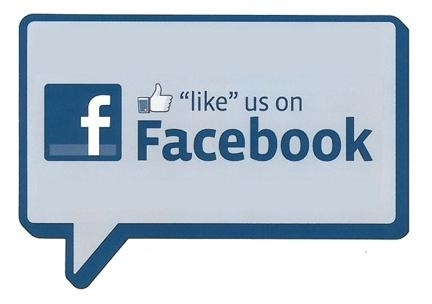 FEES for consigning your items are 20% of sales price plus a $20 consigner fee. Whether you have a little or alot of items, you keep 80% of the sales price! There is tagging instructions and a list of items we will accept attached below. For any questions, please contact Deena Pittman at 270-653-4301 or 270-254-0582. Here are some information on how the event will take place. Consignors will be required to drop their clothing off at the Hickman County Extension Office, 329 James H. Phillips Drive, Clinton, KY 42031 on Friday March 20 anytime from 8am-7pm to participate. The Sale is Saturday, March 21, 2015 from 8am-6pm at Hickman County Extension Office. All items that are not sold must be picked up between 7pm- 10pm on Saturday, July 19. All items not picked up by 10pm on July 19 will be donated to The Mission House, NO Exceptions. Consignor Checks will be ready on Monday March 23 at Hickman County Extension Office from noon-5pm. Any checks that are not picked up will be automatically mailed. Here is an example tag. You can write in the tag information or fill in the information from the PDF attached below and print out! Clothing needs to be tagged exactly in the same area shown below with the hanger pointed the same direction as the picture below!